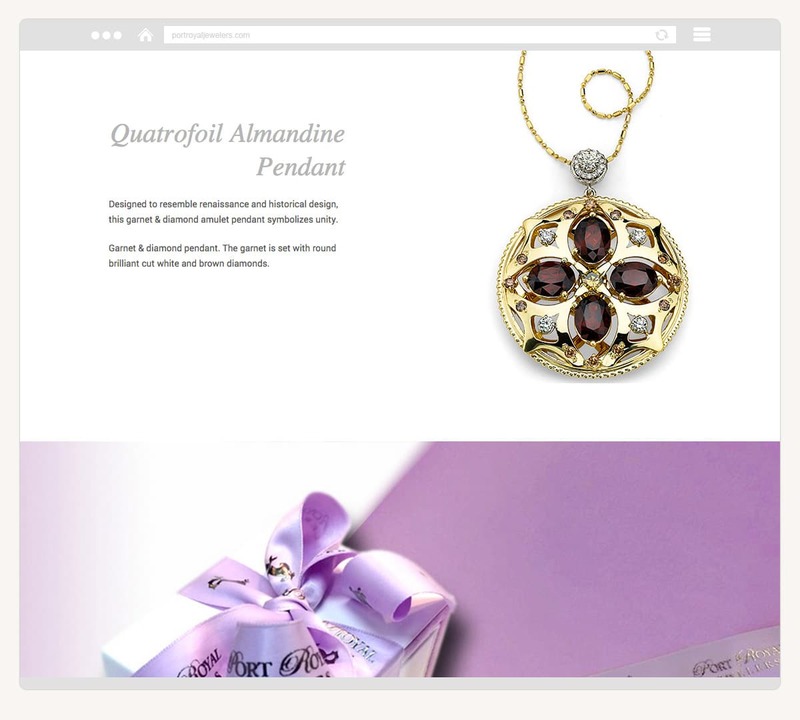 We’ve had the pleasure of working with Port Royal Jewelers for several years now since creating their first website, and our Naples website design services have helped them to build a strong online foundation. As their business has grown and their needs have changed, we discussed a redesign of their website with them. The new direction for their online presence would lead us to utilizing large, strong lifestyle imagery showing off their custom jewelry pieces in various Naples, Florida settings. The new PortRoyalJewelers.com features a host of items created by the artist, William Boyajian and the site pays special attention to Port Royal Jewelers’ dedication to various charitable organizations and causes. With a custom WordPress website design tailored perfectly to meet their needs and an expansion upon their brand message, the new website not only encourages customers to stop by the showroom, but also engages them in William’s experience and passion for his craft. On the “Showroom” page, website visitors can enjoy an interactive virtual walkthrough of the stunning new Port Royal Jewelers showroom on Fifth Ave., Naples. Visitors can also make an online appointment with the concierge at any time. The Brian Joseph Studios team enjoyed working with the beauty of the artist’s unique jewelry items and we’re looking forward to continuing to grow their online presence in the coming months.